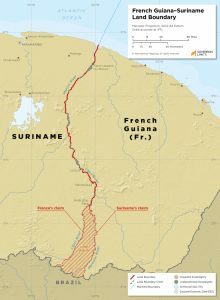 Following a series of rivers through densely forested areas, the border between French Guiana, an overseas department of France, and Suriname has yet to be completely delimited or demarcated. The boundary was first established during the colonial era between the Dutch and French governments but was never defined in detail. The lack of documentation concerning the formal course of the border has led to a long-standing and ongoing territorial dispute, which first occurred between the colonial governments and has continued following Suriname’s independence. The dispute concerns which tributary of the Lawa River the boundary follows to the tripoint with Brazil. 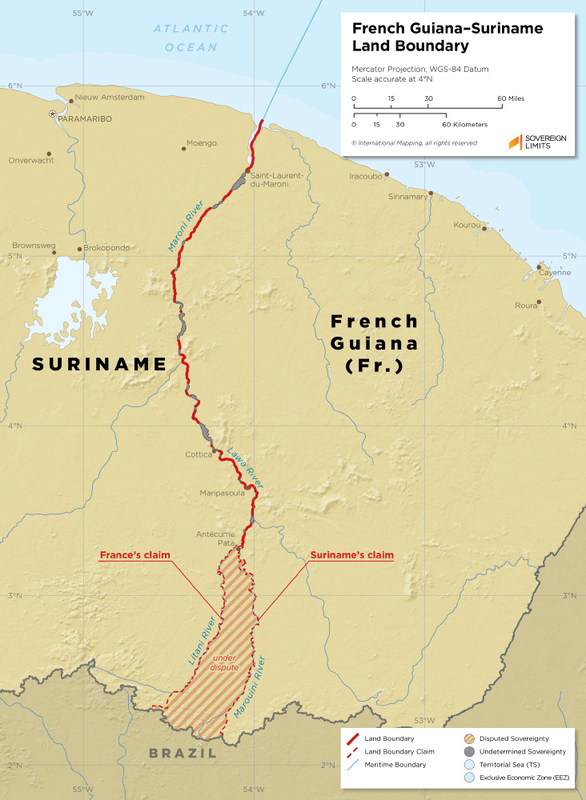 The Netherlands, and now Suriname, contended that the boundary followed the Maroni River to the east, while France asserted that the border followed the Litani River and Coulé-Coulé Creek to the west.